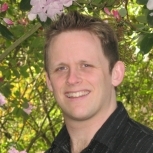 Matthew is passionate about human psychology, spirituality, science and health. He has written educational material on these subjects for mobile devices and has written hundreds of blogs and articles over the last 12 years. It was his struggle with self-esteem, a near death accident as a teen which left him with physical and emotional scars, and a medley of life successes and failures, that inspired him to empower others going through similar struggles. Formally educated with a Masters Degree in Aerospace engineering, he left this behind and followed his passion for helping others in a way that resonated. This he has accomplished through his writing, seminars and one-on-one coaching. This journey was enhanced by his experience as one of the two GratiDudes, experts in Gratitude, featured on Good Morning America. They achieved recognition with their Gratitude Dance video, viewed now 400,000 times on Youtube and played at empowerment seminars throughout North America. He has worked with the Government of British Columbia as part of their ACT Now Program. He has coached people from Canada, England, USA and Australia, through one-on-one phone coaching. Meditation can be easy, short & powerful. Learn simple 10 minute meditations & get yourself set up on a regular practice today.